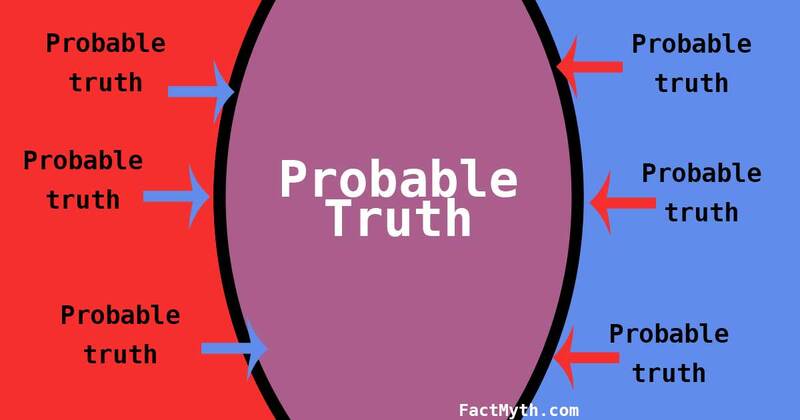 Probability Theory Was Invented to Solve a Gambling Problem - Fact or Myth? Blaise Pascal and Pierre de Fermat invented probability theory to solve a gambling problem. An intellectual friend of Pascal’s wanted to figure out the best time to bet on a dice game, and how to fairly divide the stakes if the game was stopped midway through. He asked his 16-year-old mega-genius friend Pascal for help. Pascal worked out the answer with another math genius of the time Pierre de Fermat. The correspondence between Pascal and Fermat contains the foundation of modern probability theory, specifically expectation value. The videos below explain Pascal, Fermat, and finally the problem of points, over which probability theory was first developed by Pascal and Fermat. Making Probability Mathematical | Infinite Series. FACT: Pascal was notably only 16 when he and Fermat discovered the fundamental theories related to probability and odds. Later in life his famous philosophical concept “pascal’s wager” (the argument that it is in one’s own best interest to behave as if God exists since the possibility of eternal punishment in hell outweighs any advantage of believing otherwise) plays off his work in probability. PHILOSOPHY – Blaise Pascal. Pascal revolutionized mathematics in his early years, then moved on to science where he dabbled in gambling again by inventing the Roulette wheel while exploring perpetual motion. He then mostly gave up on math and science to become one of history’s most famous philosophers in the ripe old age of twenty-something (26 if the above video is correct) after a spiritual experience. Pascal had poor health, especially in his late teens and 20s. He died just two months after his 39th birthday. Fermat’s Theorems – Professor Raymond Flood. Fermat, like Pascal, was integral in many discoveries outside of probability including infinitesimal calculus (which Newton and Leibniz built on) and analytical geometry (Descartes and Fermat can be considered the fathers of analytical geometry). FACT: Blaise Pascal and Pierre de Fermat can be considered the fathers of probability theory due to their laying the foundation to probability theory in a series of letters that discuss a friends desire to increase his odds at dice. Notably, the famous “pascal’s triangle” can be used to solve problems in probability theory. The mathematical secrets of Pascal’s triangle – Wajdi Mohamed Ratemi. We call it Pascal’s triangle in the west, but its history stretches back further. TIP: Pascal also developed theories related to fluids and invented an early mechanical calculator. He was rather prolific. Although the mathematical theory of probability has its roots in attempts to analyze games of chance by Gerolamo Cardano in the sixteenth century, and although others built on probability theory after Pascal and Fermat, the story of probability theory properly begins with Pascal, Fermat, and a dispute between gamblers in 1654. An acquaintance of Pascal, an academic, philosopher, and prominent figure in the court of Louis XIV, Antoine Gomaud (or Gombauld), Chevalier de Méré, Sieur de Baussay (that is his title, not just his name) requested help from Pascal to study two gambling problems he had run across. Both problems were related to a dice game. The other more famous problem was “the problem of points” over which probability theory was developed. The game in question consisted in throwing a pair of dice 24 times and betting on outcomes. The first problem was to decide whether or not to bet even money on the occurrence of at least one “double six” during the 24 throws. A seemingly well-established gambling rule led de Méré to believe that betting on a double six in 24 throws would be profitable, but his own calculations indicated just the opposite. “The problem concerns a game of chance with two players who have equal chances of winning each round. The players contribute equally to a prize pot and agree in advance that the first player to have won a certain number of rounds will collect the entire prize. Now suppose that the game is interrupted by external circumstances before either player has achieved victory. How does one then divide the pot fairly? It is tacitly understood that the division should depend somehow on the number of rounds won by each player, such that a player who is close to winning will get a larger part of the pot. But the problem is not merely one of calculation; it also includes deciding what a “fair” division should mean in the first place.” (See wikipedia entry). The Answer to the problem of points: You factor in the rounds each player has won and the rounds needed to achieve overall victory. Then you find the overall odds that each player could win by looking at the possible continuations of the game where r is one player and s is the other, and counting how many of them would lead to each player winning. You can also draw this in a nifty arithmetic triangle we know as Pascal’s triangle. I suggest watching the video, but you can read more about how to solve the problem here. Can You Solve The Problem That Inspired Probability Theory? (Problem Of The Points). FACT: Pascal invented an early version of Roulette in his search for a perpetual motion machine. Years later Einstein is said to have remarked (but likely didn’t), “the only way to win at Roulette is to take the dealer’s money while they aren’t looking”. Gambling with Secrets: Part 3/8 (Probability Theory & Randomness). Pascal and Fermat exchanged a number of letters on this topic. Although they never finished their game, their letters contain solutions to both problems. These solutions double as what we now know as the fundamental principles of probability theory. Importantly, the solution for the problem of points became known as an expectation value (the average expected value). The problem of dividing the stakes became a major motivating example for Pascal in his Treatise on the arithmetic triangle. For a description of the Problem of Points, Pascal’s triangle, and the evolution of probability theory from the letter to today see The Origin of Probability and The Problem of Points Jui-Pin Cheng History Of Mathematics Rutgers, Spring 2000. Keith Devlin: “The Unfinished Game” | Talks at Google. Probability and Its Limits – Professor Raymond Flood. FACT: The story of probability properly begins with Pascal, but humans have been gambling since ancient Egypt and earlier. So while the academic theory comes from the sixteenth and seventeenth centuries, the roots likely stretch back beyond recorded history. The story of Pascal and the problem of points is true. It is a good introduction to Pascal and probability, and a reminder that mathematics is a fundamental language that can work just as well for solving money related problems as it does for explaining the physical universe.